The adaptability found in the clay has allowed the artist to create a work inspired by a post glacial coastal feature found in the Norwegian island of Haerfol. It is known locally as ” Hvalgapet” or “Whale’s Gap”. 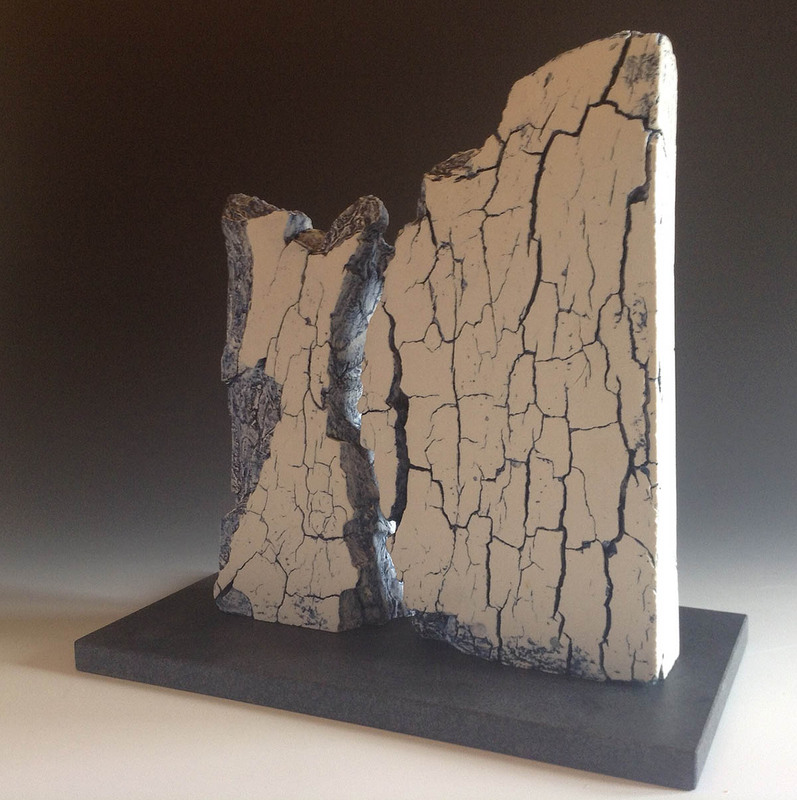 The artist has achieved a variety of grains in fracture patterns through his special processes with the medium. It is fine example of the unique nature of his work.